Before we list the top keywords for HVAC contractors, it’s important to note the logic behind researching and selecting targeted keywords. The first and most important element to the strategy involves a concept known as buyer intent. It might seem like some kind of coded language, but it actually means exactly what you think it might. If the searcher intends to buy a service or product when using Google, the terms they search for have buyer intent. 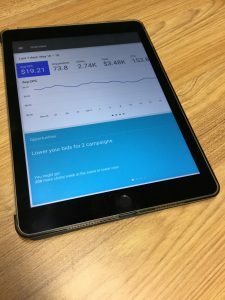 Since those searchers are the only ones who will become customers for your HVAC company, they are the only ones worth targeting with your SEO strategy. Identifying buyer intent keywords is critical, but implementing them completes the process and earns your business a sale. Some contractors mistakenly believe that the presence of the term within web content is enough in of itself to prompt visibility on search results for the corresponding word. This is false. To show up, your keyword must be present not only in the body content, but in the metadata and coding of the site. HVAC Webmasters discusses the process in greater detail when you call (800) 353-3409. One thing to remember is that search volume is not the only consideration when determining the top 100 HVAC keywords. Terms and phrases that have “buyer intent” are placed at a premium because they generate the most relevant traffic, much of which can be converted into paying customers. 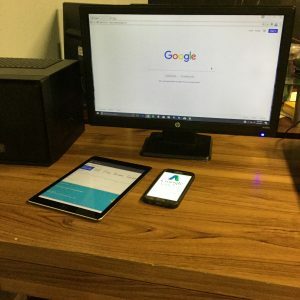 Research based keywords like “how to fix an ac” will have a high search volume but will fail to generate leads because the users are simply looking for information. Another consideration is location, and attaching local keywords to industry keywords can create long-tail keywords that net valuable traffic. Call (800) 353-3409 to further discuss keyword opportunities. 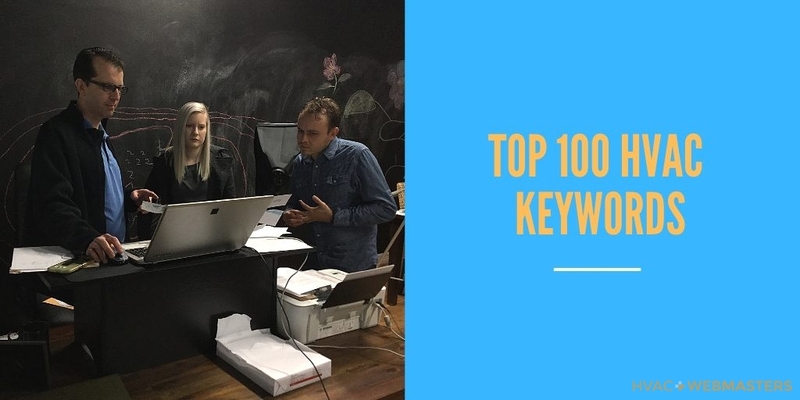 How Valuable Are The Top 100 HVAC Keywords? Keyword research is one element of SEO, but should not come at the expense of its others. Many HVAC contractors mistakenly believe that keywords are the only consideration when optimizing a page, and it couldn’t be further from the truth. Keywords can actually become a detriment when they are “stuffed” within content, hindering the readers experience, and signaling to Google that your content is low-quality. The key is striking a balance between keyword placement and readability. It’s best to use keywords naturally within the flow of the content. Here are the next 10 keywords, once again descending by search volume. You’ll note that the keywords above once again contain “buyer intent” also sometimes referred to as “commercial intent”. On repair-based keywords, in particular, it’s important for HVAC websites to differentiate themselves from autoshop repair. One way to accomplish this is through structured data markup. Through microdata tags, websites can communicate their specific services to search engines which will then appropriately index them on search results. This attracts relevant traffic which drives business while simultaneously enhancing SEO. What kinds of questions will prospective customers be asking? What actions will they potentially take? How would they go about inquiring about HVAC services? By targeting user intent you can more effectively meet the needs of your consumers, and as a result, increase business for your company. Keywords only matter within their intended context. For example, attracting a bunch of people looking for car AC repair will leave them disappointed when they come across your website. They will subsequently exit your site, increasing its bounce rate and signaling to Google that you don’t deserve a high ranking. Instead, you should focus your attention on attracting the right kinds of users who will enhance your SEO and drive your business. Call (800) 353-3409 for the top 100 HVAC keywords. 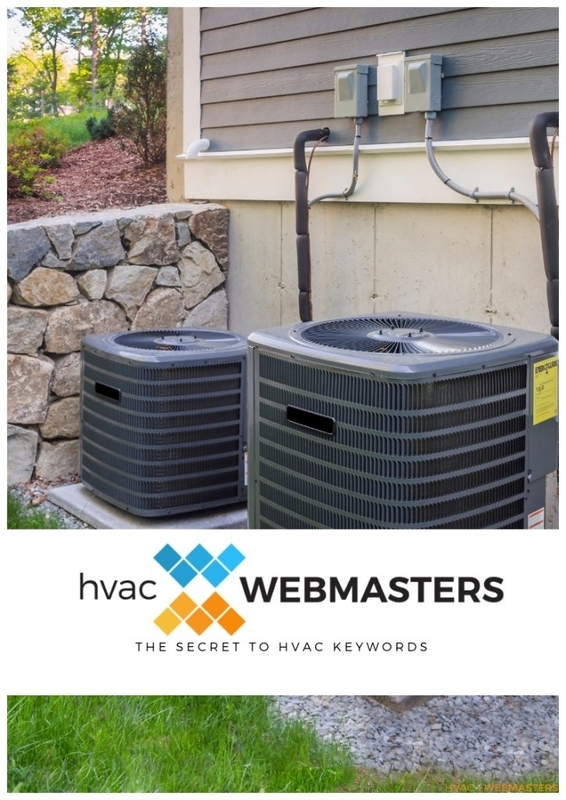 Updated on September 26, 2018 at 8:42 pm by HVAC Webmasters.